Fredrik Marine carries various maritime grade high performance computers specially designed for shipboard use in operating consoles or in electronics bays. 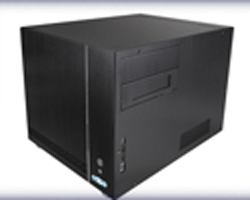 Its compact size allows for performance, flexibility and functionality beyond what is found in most PC’s of any size. A PC is one element in a ship that cannot be missing, as it is a crucial aspect of knowing what is happening on and off board the vessel. Fredrik Marine offers many maritime PC’s for your benefit in accordance to your budget and needs.